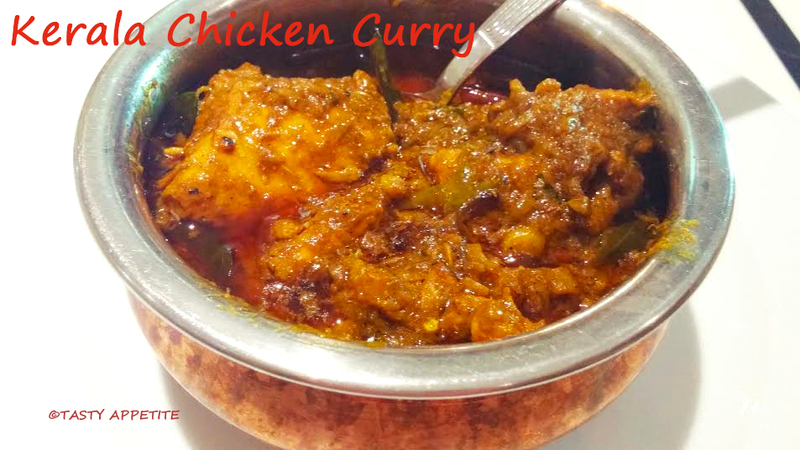 Today’s recipe is a simply exquisite dish, kerala chicken curry. The fresh cardamom flavor and the brilliant red gravy color absolutely tickles your tastebuds. Its one of my family favorite recipe and tastes excellent with kerala parotta. Try this traditional & easy recipe..! 1. Wash and slice the chicken to bite-sized pieces. 2. 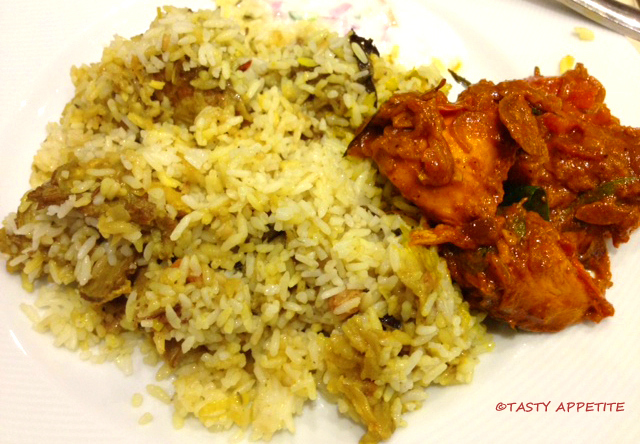 Marinate the chicken with turmeric pwd, kashmiri red chilly pwd, lemon juice, salt and curry leaves. 4. Add cumin seeds, fennel, garlic, red chilly, pepper, coriander seeds, cinnamon, cloves, cardamom and grated ginger. 5. Once roasted for a minute, turn off the flame. 6. Allow to cool and grind to fine paste by adding enough water. 7. Heat coconut oil in the frypan. 8. Add cumin seeds, wait to splutter. 9. Add curry leaves and onions. 10. Saute the sliced onions till transculent. 11. Saute the tomato slices and green chilly. 13. Mix well and allow to cook for 4 to 5 mins in medium flame. 14. When the masala thickens add turmeric pwd and kashmiri red chilly pwd. 15. Add marinated chicken and stir along with the masala. 16. Add ½ cup of water and stir well. 18. Cook the chicken covered in low medium flame. 19. Take care the masala doesn’t stick to the bottom of the frypan. 20. After 5 mins, turn the flame to low and cook covered until the chicken is cooked tender. Add the grated coconut to blender, add little water and grind it to fine paste. 21. Add the finely ground coconut paste and combine. 22. Keep the flame in simmer and cook the chicken curry for 5 mins. 23. Now you can see the masala starts oozing out of the oil. 24. That’s it kerala Chicken curry is ready. 25. Transfer to serving bowl and garnish with fresh coriander leaves. 26. It serves best with biryani, kerala parotta, chapati and puri. Hy Abraham,thnx for the mention. Just edited. Thanks jayanthy. Just in time. About to prepare my christmas special dinner for tomorrow in the UK. This was a hit last Christmas and had request to make it again this year. Got 2kgs of chicken. I suppose adding 3 times the amount of ingredients for 1/2 kg should do the trick.